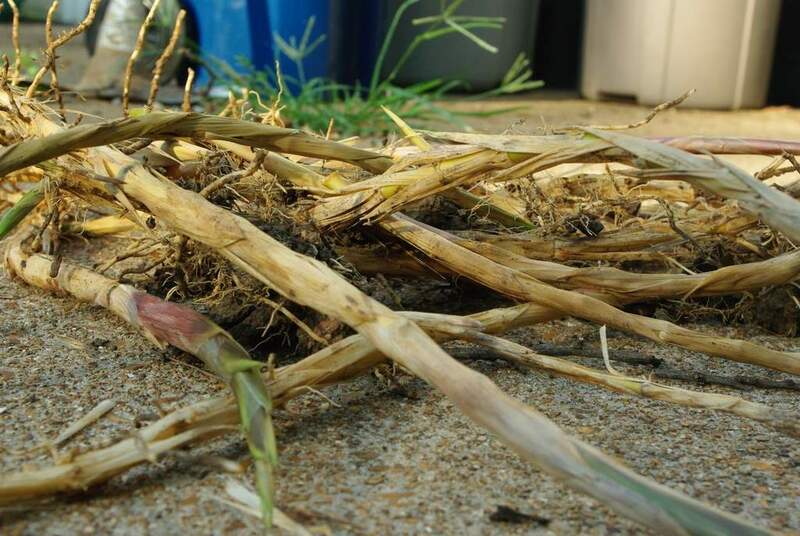 Note that rhizomes typically stay underground, but since I can only get photos of those that are poking out of the soil, that's what you'll be seeing here. 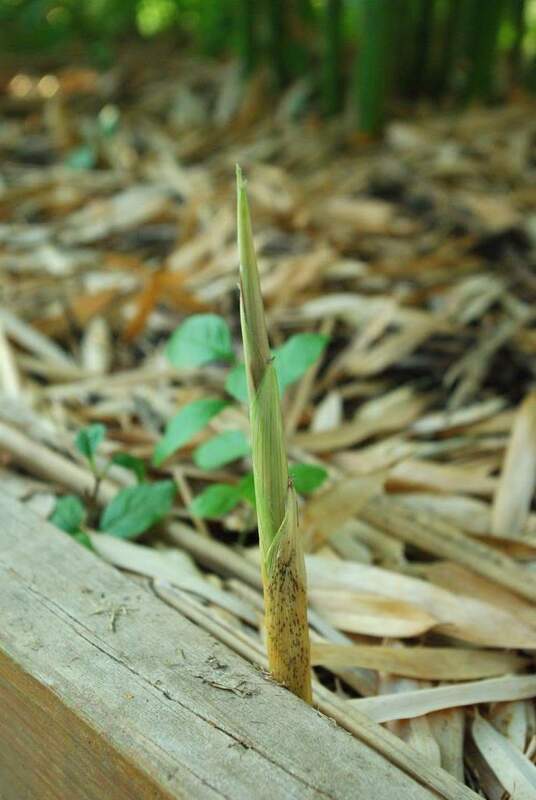 Remember that for every rhizome you see doing this, there are probably five (or more) that you can't see. 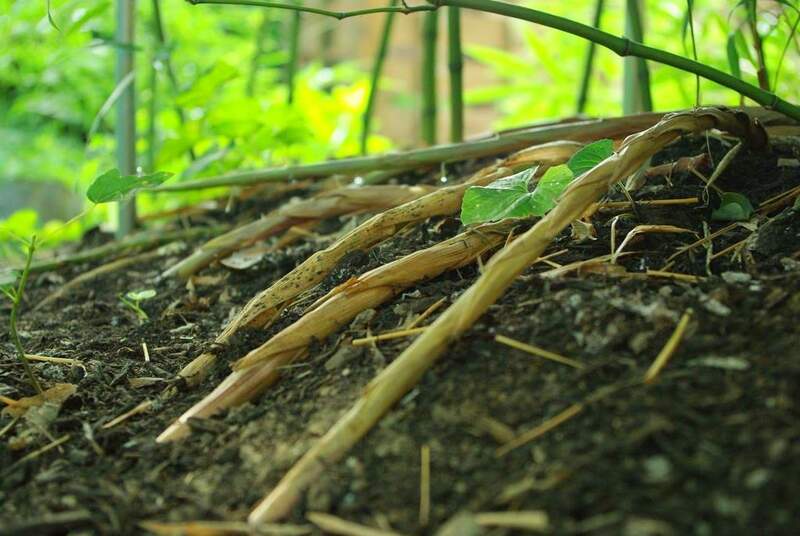 Although with bamboo in the genus Phyllostachys the rhizomes usually stay pretty close to the surface, often emerging and diving back down again, it's possible to overlook them until they have grown quite a distance and are rooted in. 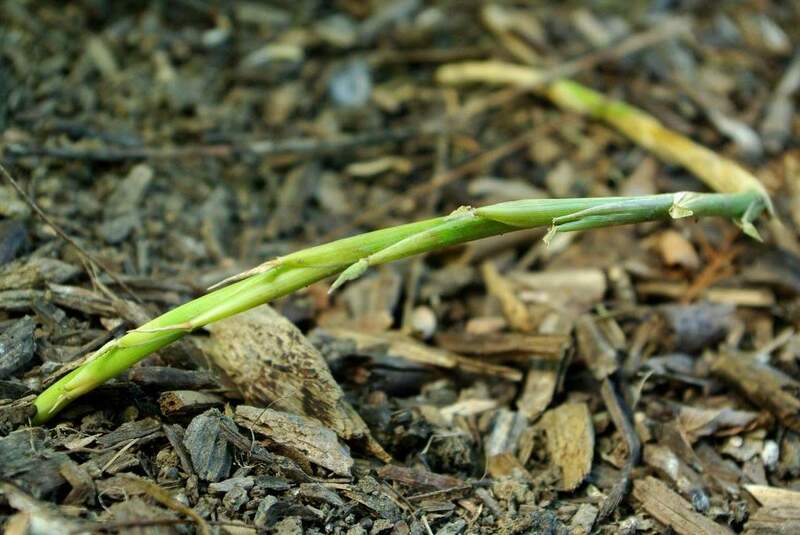 It's much easier to get them before they're too long and well-rooted, so it pays to be diligent. I'll just dig around the edge of the allowed planting area, pulling and chopping any rhizomes that I find. 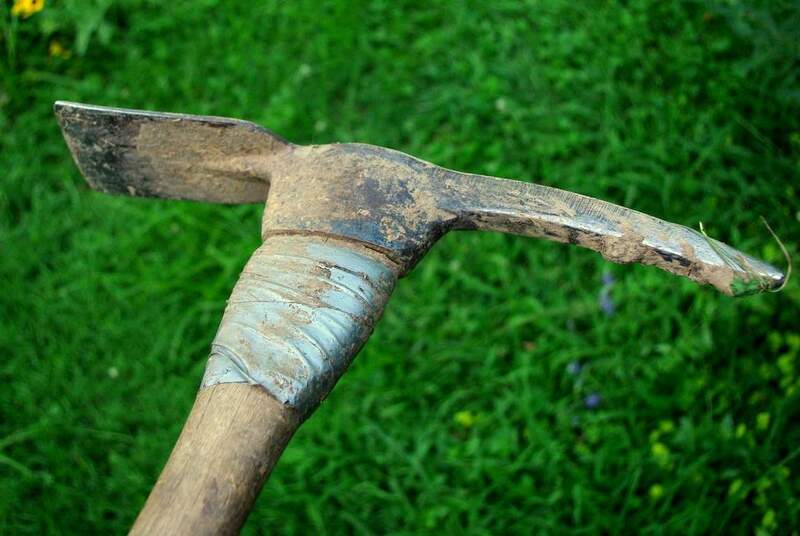 About those obstacles: taking a swing with this and hitting a large, buried tree root is jolting! 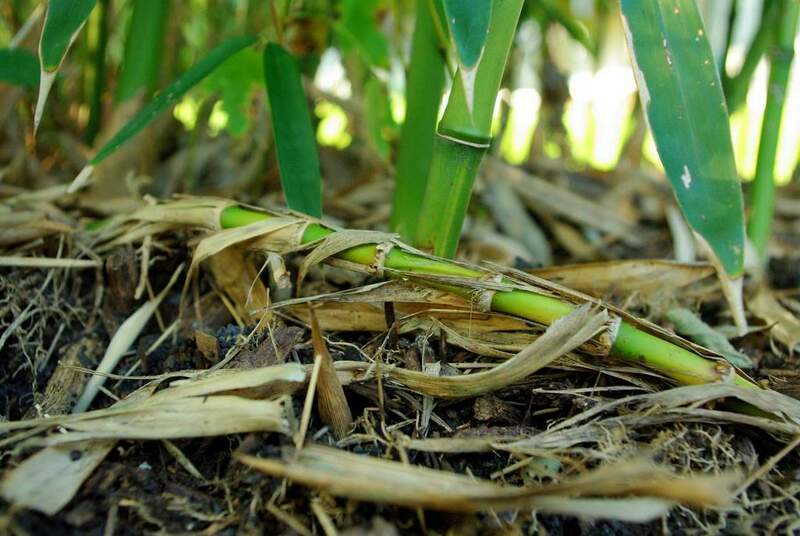 These culms are typically thinner and weaker than the culms produced during the shooting period for the plant, and are therefore called "whip shoots". 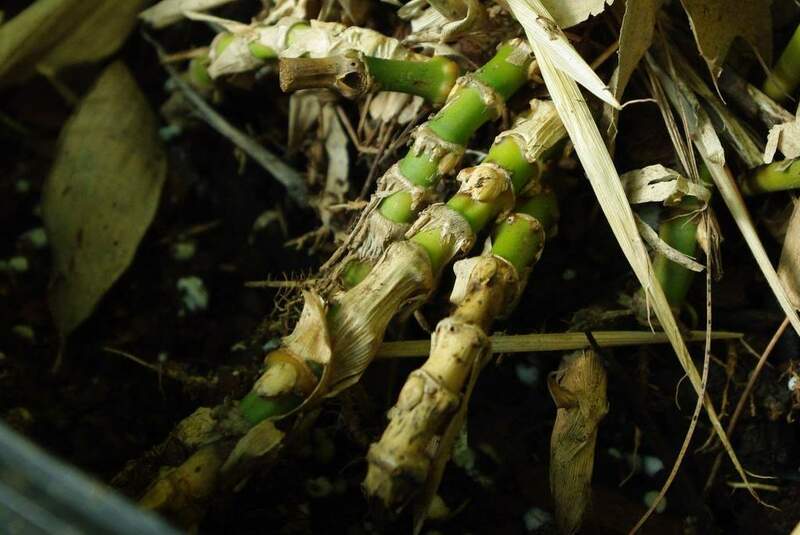 It's younger "juvenile" bamboo plants that typically do this -- they seem to be trying to find the balance between roots and leaves, so they'll turn what was going to be a rhizome with roots into a culm with branches and leaves. 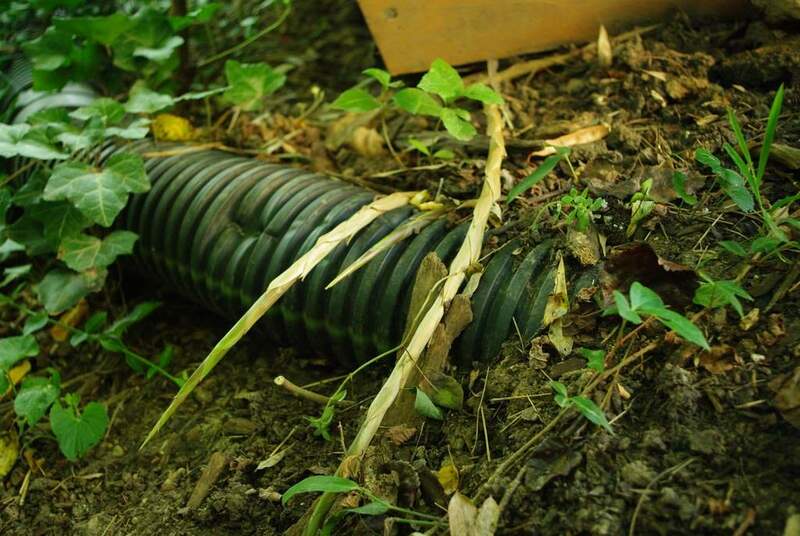 The ones that "porpoise" (emerge then go back into the ground) are interesting and attractive. 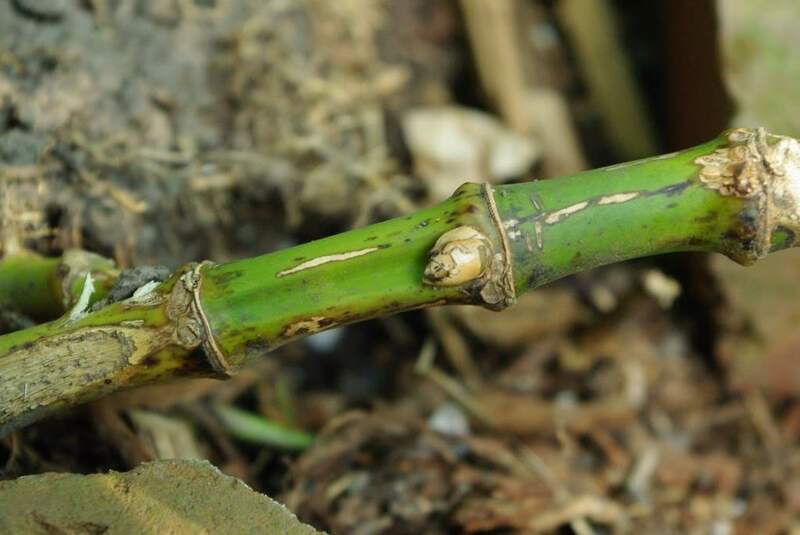 They're also called "ankle breakers" by some bamboo growers for reasons you can probably guess -- luckily this one is in a raised bed that I'll never be able to walk in. I think it will stop doing that once it's a few years older. 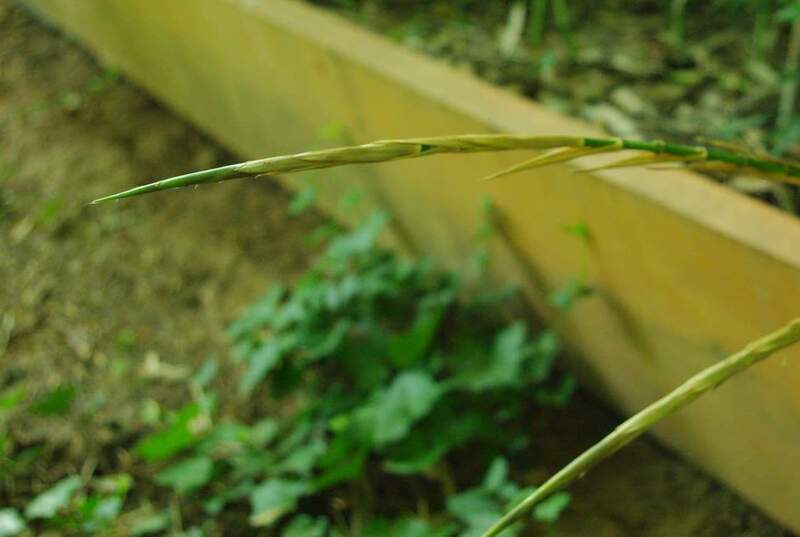 It may also be because I'm growing this on a berm (or "mound of soil") which makes it easier for the rhizomes to accidentally find their way out of the soil. I've already rhizome pruned this plant once this year, and since I just found a 5' rhizome I'm hoping I missed it last time. I'd hate to think that it would grow 5' in just a couple of months (but it's entirely possible)! 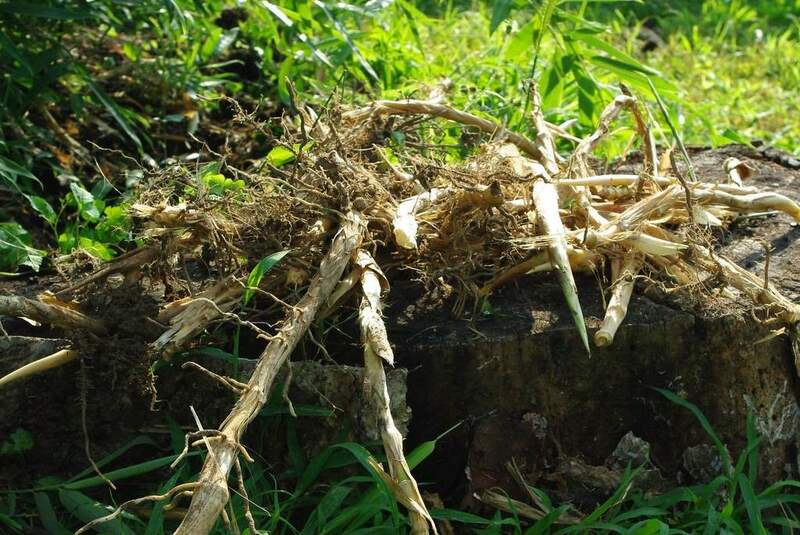 But the size of the culms that are produced is not always related to the size of the rhizome -- some plants with very thin rhizomes will produce quite thick, large culms. That's two large plants down, six more to go. Not counting the smaller (often more aggressively spreading) species. 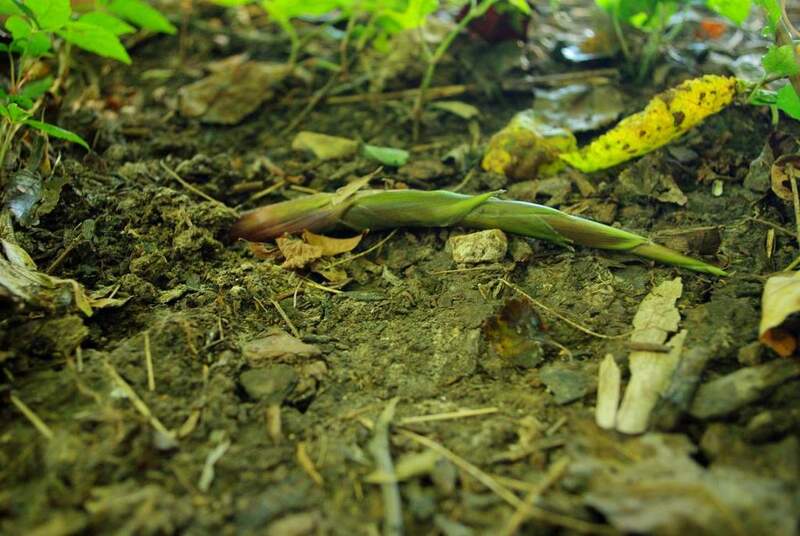 I better pick up the pace -- besides these other plants I'll need to do this one more time on all of them again before shooting season, either in early fall or late winter.